Is it possible to get the same Chase card more than once? Sometimes & a word of warning! Success! 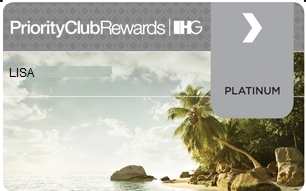 80k Chase IHG points (not my link and at the bottom of the list of cards) have posted to a new and shiny Platinum Account! I was not sure from Lisa’s last round if she would get these points but it has been YEARS since Lisa was a Priority Club card holder (canceled back in 2009) and for the most part, if you have had a Chase card of “that” type, you will NOT be able to get a new card bonus again. The exception is when Chase comes out with a “NEW” type of that same card, then, most time, you can go for that again and get the points. Also, most times, if there is both a VISA & MC of the same card you can often get the bonus for each flavor if you have not had both (I have seen best results when closing the old one before attempting this). Is there, say like the 365+ day you have to wait with AMEX cards or the 6-18 month range from Citi that you must wait with Chase? I do not know and would love reader feedback to find out some more real world experience. As an additional update, we are still waiting to hear back in the mail for the reconsideration letter for the Barclaycard Arrival World Mastercard. I have high hopes that rather than a letter the card will just show up (thus approved) in the mail. It now makes running to the mailbox each day a little more fun anyway! I’m curious to see how your reconsideration letter to Barclay turns out. I was declined for that card as well, they didn’t like the fact that my credit history is so short (I’m only 21 though! I got my first card the day I turned 18). I may attempt a reconsideration letter too. What was the source of your link to the 80K Priority Club offer? 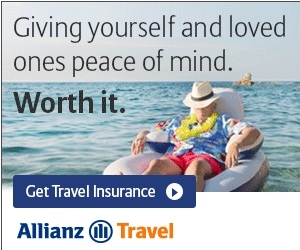 Is there a landing page? No mention of the bonus on the application page. @gary – there is a video survey that creates it. Been around LONG time. It asked me to log into my UA account, and yes I got the offer, and decided to go for it. Approved immediately. @Glenn – nice and thanks for link. I will update to have that one up too. Sweet – added thanks again! Rene – how long did it take your priority club points to post? I met the $1K spent a couple of weeks ago and the statement closed a few weeks ago too but the points still haven’t posted, so just wondering what your experience was. @lee b. – on 1st statement like 5 weeks after app.